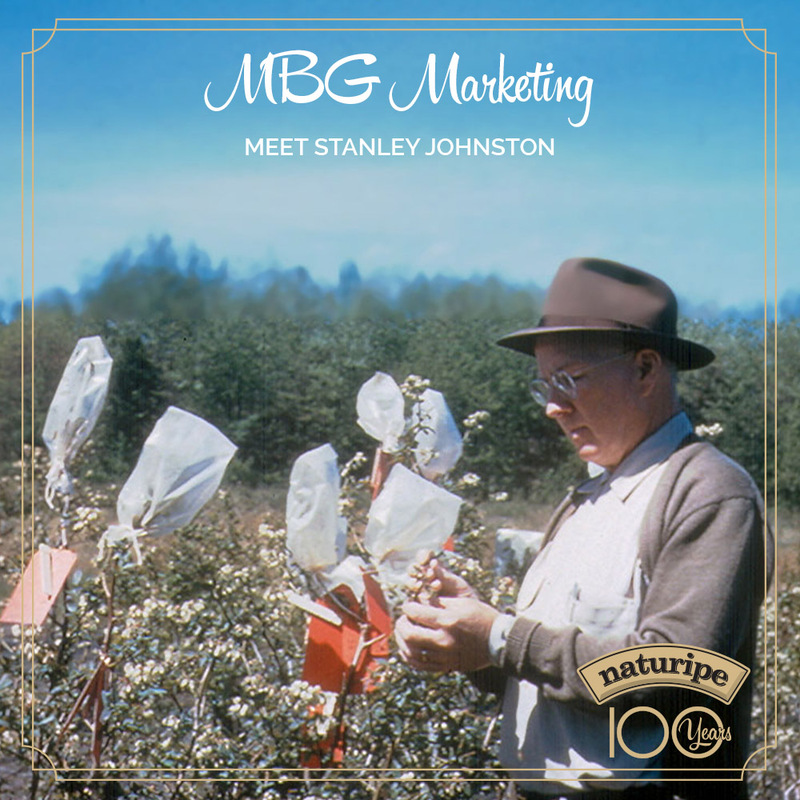 In honor of National Blueberry Month and our 100-year anniversary, Naturipe celebrates one of our four grower-owners, MBG Marketing – The Blueberry People. MBG is a producer-owned berry marketing cooperative that was formed in 1936 as the Michigan Blueberry Growers Association by the original blueberry growers in the state. MBG quickly gained a leadership role in the Michigan blueberry industry, and as interest in blueberry production grew in other states, MBG’s membership base expanded to reflect the trend. The man instrumental in establishing the organization was horticulturist Stanley Johnston. Johnston, along with 13 blueberry growers, held the first meeting of Michigan Blueberry Growers in November 1936. Within two years, the group established packaging standards and created the MBG logo for labeling, and a year later, formed its own sales’ organization. In the late 1940s, MBG extended its membership into northern Indiana, and between 1983 to 2014, added growers from Georgia, Florida, British Columbia, North Carolina, Oregon, Washington and New Jersey. Today, with a production base of over 250 growers, these men and women make a strong team of tenured professionals that offer our grower-owners unprecedented service and support in meeting the challenges of the 21st century produce industry. MBG is the largest grower-owned marketer of fresh and value-added processed cultivated blueberries in the world. In 2002, MBG joined a partnership with Hortifrut S.A., Naturipe Berry Growers and Munger Companies (in 2009) to establish Naturipe Farms, one of the largest full line, all season berry marketing companies in the world.